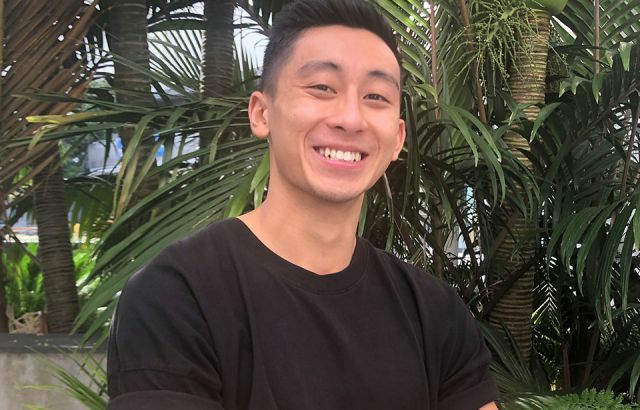 Nearly a thousand people have rallied behind a blogger’s social media movement following the Christchurch massacre. 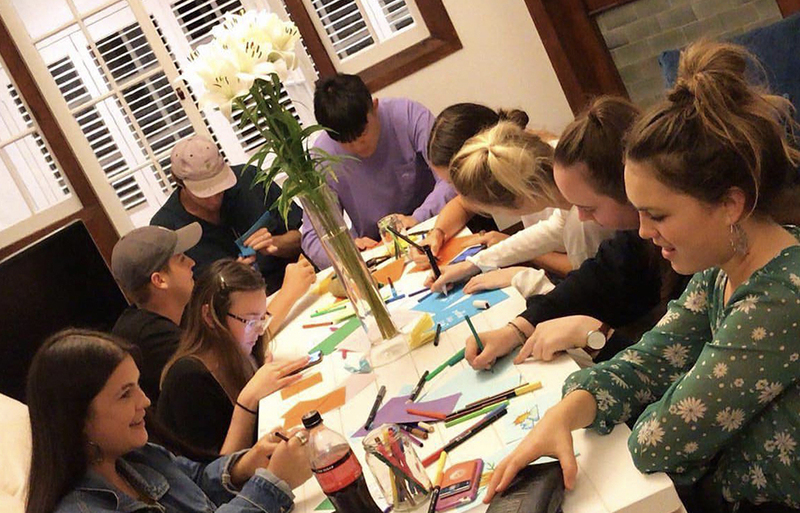 Cards for Community, created by Otago University student Maddie Mason, encourages people to band together and write letters to those affected by the March 15shooting. Ms Mason, who has nearly 4000 Instagram followers, said the tragedy made her realise how out of touch she was with New Zealand minority groups which compelled her to “break barriers” with her social media following. “The way it has spread through social media and been supported by all kinds of people has been so incredible. “It gives me so much hope for our country, this kind of unity and desire to spread love is what we all need right now,” said Ms Mason. 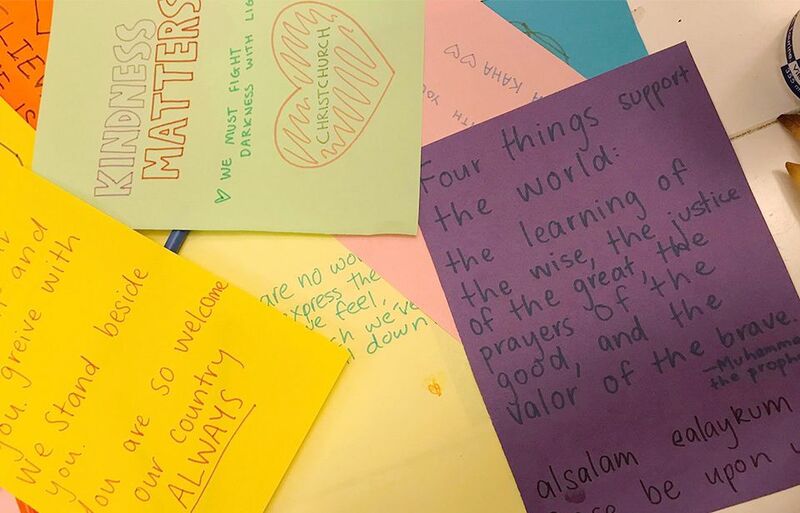 Those involved in the letter-writing across the country include vigil-attendees, school groups and students who held events at their flats and hand-delivered cards to local mosques. Isabella Kippenberger, who hosted a Cards for Community event at her flat, said up to one hundred cards were produced by the 30 attendees. “They were only short cards. Uncomplicated, but full of love. “Love always trumps hate and after something so horrific it felt good to be proactive and make an actual change,” said Ms Kippenberger. 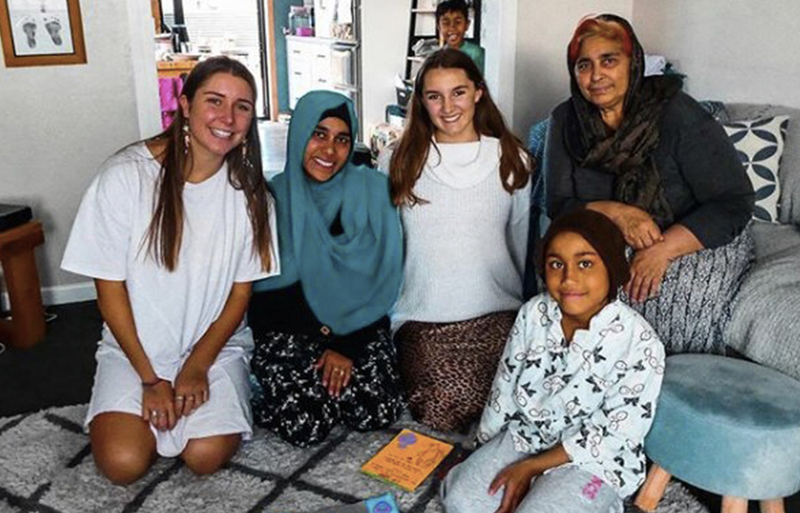 Instagram influencer Ms Mason said she felt “a mixture of disbelief and heartbreak” when hearing news of the Christchurch terror attack, and said she sees her large social media presence as a “useful and natural tool to spread compassion and consciousness”. “I am really aware that in times of tragedy like we are experiencing now, I might fit the typical profile of someone with a white saviour complex. Rebecca Newman, who helped set up events in Wellington, said showing love and support in a written form was a comforting exercise for many. “Many people expressed that they had felt very helpless in the aftermath of this tragedy and were unsure how they could express love and give support to the Muslim community. 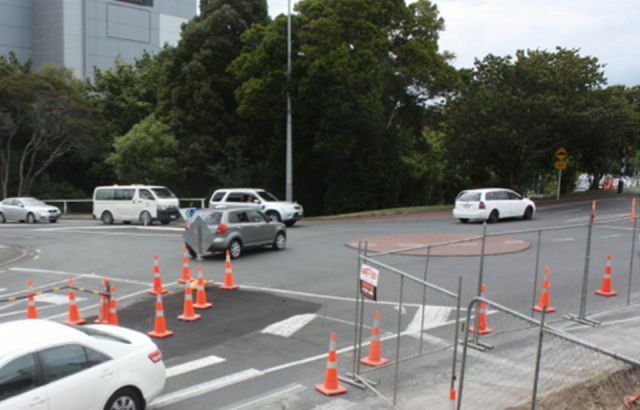 She also said that the response when her group hand-delivered the cards to the Kilbirnie mosque was overwhelmingly positive. “We were greeted with hugs and appreciation from men, women and children all who were so thankful for the support,” said Ms Newman.